Time slowly has healed some, but not all, of the wounds Vietnam War veterans in Iowa feel now even though more than 42 years have passed since the last soldiers, one of them an Iowan, died in that war. “I feel like the young generations today don’t know what we went through when we came home,” Robert Boyd, who spent 15 and a half months in Vietnam during the war, said. Boyd was referring to being greeted after serving overseas by a strong, nationwide anti-war movement. Demonstrations and riots were common, especially during spring semesters on some college campuses. Protests were held at the University of Iowa in Iowa City and Iowa State University in Ames to varying degrees from 1967 into the early 1970s. That Boyd still thinks of that when asked in 2017 whether or not he feels support from Iowans for military veterans is telling. The memories stick, even though Boyd said he thinks Iowa does a good job of showing support for its veterans now, with state services that include the Iowa Veterans Home in Marshalltown. The United States entered the Vietnam war by sending some advisers in 1955. It left in April 1975. Darwin Judge, a Marine lance corporal from Marshalltown, was one of the last two soldiers killed in the war. He was 19 when he and Cpl. Charles McMahon, 22, of Woburn, Massachusetts, were killed by a rocket attack on an airbase. 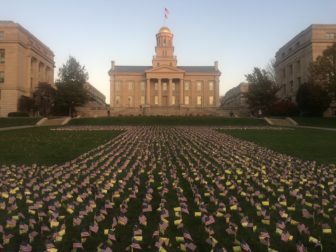 In all, 867 Iowans were among the 58,318 Americans either killed or missing in action in the Vietnam War. Iowa sent 115,000 to military service during the war. Stan Chisholm said he was lucky when he returned from serving during the Vietnam War. “I didn’t get a hostile reception like some folks did,” he said. That has affected his thinking, Chisholm, of Ida Grove, said. “I think a lot of wounds were healed through the years. I can’t speak for everyone but I think things have changed a lot,” he said. Chisholm carries a different reminder of the Vietnam War. He said he is fighting mantle cell lymphoma, related to exposure to Agent Orange, the defoliant tied to diseases such as leukemia, type 2 diabetes, Hodgkin disease, ischemic heart disease and others. Chisholm said he gets good Department of Veterans Affairs service in Carroll for things that can be handled at the VA clinic there and goes to Omaha, Nebraska, for more serious health care. “I’m doing pretty well right now,” he said. 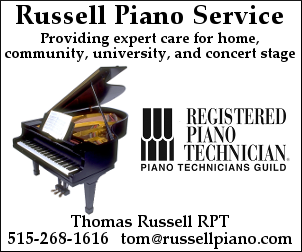 The use of Agent Orange to defoliate Vietnamese forest in a bid to rout out North Vietnamese and Viet Cong fighters affected whole families back home, Ron Healey, of Dubuque and a Vietnam War veteran, said. “When a veteran goes to war, so does the family,” Healey said. “It’s hard to forget that if it’s your family member,” he said about Agent Orange and its after effects on contaminated U.S. soldiers. 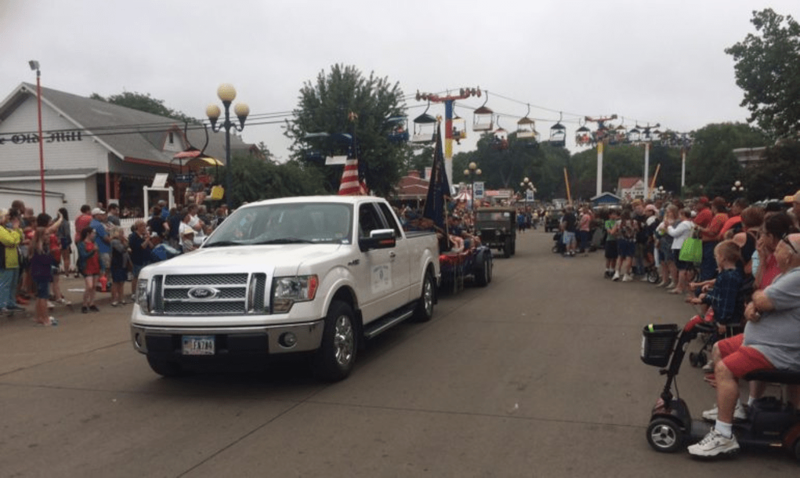 Iowa has several resources for veterans, including a Home Base Iowa initiative to connect volunteers with jobs, various grants, homeowners’ assistance and other benefits, plus veterans services offices in all 99 counties. An Iowa Veterans Trust Fund pays for some bills vets cannot pay. Nationally, Congress has passed legislation that trims hurdles veterans had faced when appealing Department of Veterans Affairs claims rejections. It is aimed at cutting wait times at VA medical centers. A Center for Investigative Reporting report in 2012 showed disabled veterans in Iowa waiting more than 300 days, on average, at the VA’s Des Moines medical center. Sen. Chuck Grassley, R-Iowa, has assailed not only updated reports on VA wait times but the way the data have been handled. Grassley said in June the VA lied about those times and that they were longer than the less-than-90 days the VA was reporting. Grassley said the Iowa City VA Medical Center’s wait times in mid-March ranged from 91 to 180 days for 462 veterans, 181 days to a year for 524 veterans and one to two years for 71 veterans. Wait times at the Des Moines VA medial center were more than 90 days, Grassley said, citing information from a whistleblower. While veterans services exist, many who served do not use them, people who work with veterans said in IowaWatch interviews. Chris Shackelford, Korean War historian with the Grout Museum District in Waterloo recalls talking at the Sullivan Brothers Iowa Veterans Museum with Vietnam War-era veterans during a 2015-16 exhibit about the war. “A lot of these veterans came home and took off their uniforms, went back to work and didn’t like to talk about their experiences,” Shackelford said, referring to when the veterans returned to Iowa at the end of their service. But during the exhibit some Vietnam veterans talked with Shackelford while he and Bob Neymeyer, a Grout Museum District historian, were interviewing veterans for a Voices of Iowa veterans project at the museum. “On a few occasions, I interviewed some veterans who didn’t talk to their wives about this, they didn’t talk to their children about this,” Shackelford said. “And at the end of the interview they thought, maybe they had talked to us for 15 minutes. And 90 minutes later we had an excellent account of their history and service to their country. County veterans affairs offices provide one-on-one, immediate services. Some get funding from their individual counties for services. Dill said veterans advocates want to keep telling Congress about veterans who need services to which he says they are entitled. “If nobody comes in, well, then there’s no need to allocate funding and they [Congress] move the funding somewhere else,” he said.